Q. What does Dr Who and Star Wars have in common? A. Teaching young people to code. Now Disney and Code.org have joined in, to engage young people to move from playing games to creating games. 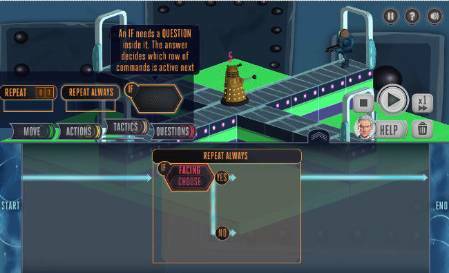 This time instead of controlling a Dalek you can control BB8 around some puzzles. 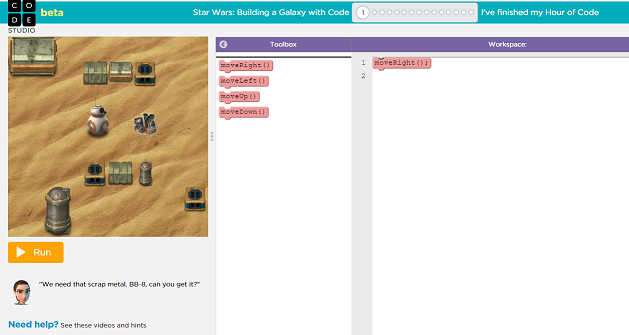 These interactive tutorials will appeal to anyone looking to learn coding and a great way to introduce young people into learning whilst gaming. There are some similarities between then the two versions and moving a character around the screen. The Dr Who version uses the Characters of the show to explain what you need to do whilst the Star Wars version uses videos of one of the films developers to talk through what the tasks involve. Which Sci-Fi universe will you choose to help you learn? All we need now is a Star Trek version…….